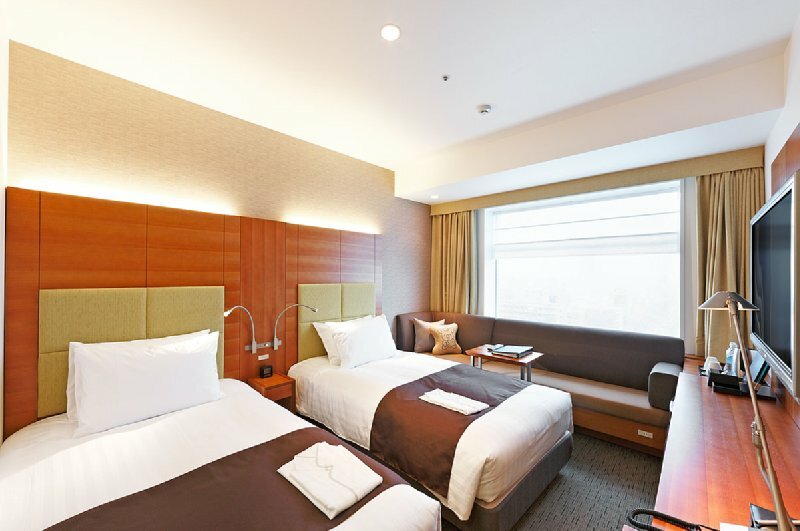 This contemporary hotel enjoys a good location in Tokyo, within easy reach from all the action and main places of interest, as well as public transport connections like Tokyo station, which stands 10 minutes away on foot. Some 10 minutes away, visitors will get to the popular Asakusa temple or to Akihabara commercial district. Guests will truly enjoy their stay at this pleasant hotel, because it offers different room types addressing to all kinds of travellers. There is a ladies’ floor and some rooms designed especially for children and others with amenities that will please business travellers with trouser press and an ample working desk. Among the services and facilities offered, visitors may choose to start their day the best way possible with a hearty and delicately prepared breakfast buffet.